They know you by your intimate actions and while they may not mark all the instances of your kindness any perpetration of neglect will impact your relationship for the rest of your lives. All of these beings have differing needs, languages, tolerances, food sources, and temperaments. There is a lot to balance and juggle to keep everyone happy, not to mention ALIVE. They are dependent on us and our efforts and sometimes that can be scary. 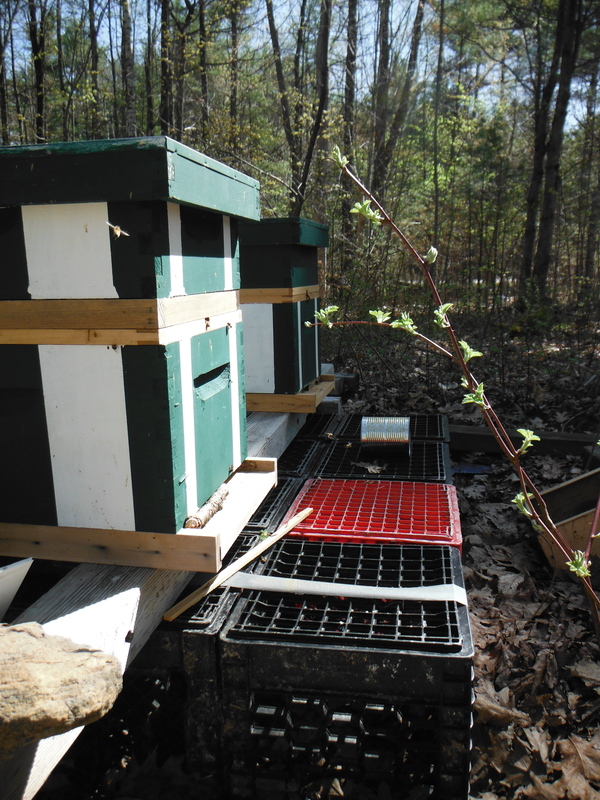 The bees still need to be feed simple syrup since the nectar is not quite flowing yet. 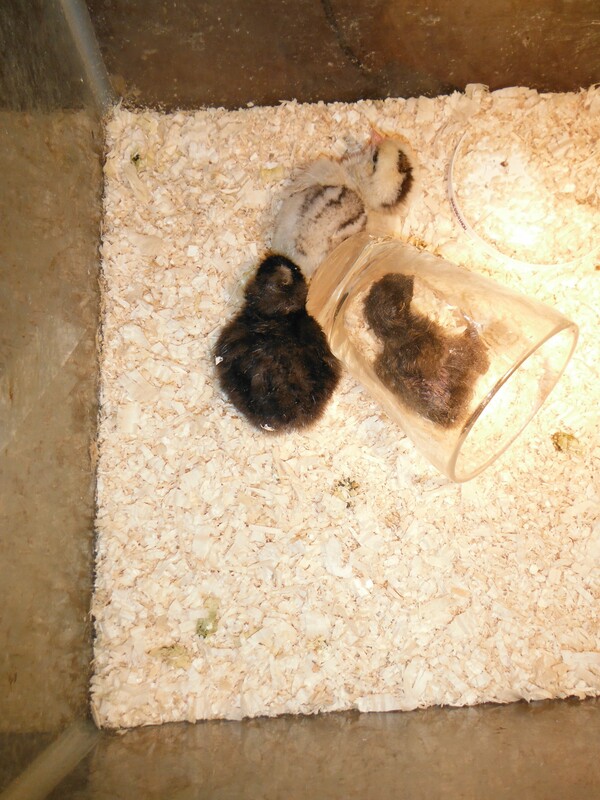 The newborn chicks need constant tending. Dogs need love and discipline. Cat need to be let in (she uses me for food and my thumbs but she is pretty self-sufficient.) Lizard needs crickets. Snake needs mice. Make sure to set aside kitchen scraps for the chickens, etc. When I see it written down it all strikes me as a lot of work- but daily I do not feel like I am working. Just going from one, to the other and back again. All day. Dancing with our home and all its inhabitants. When I put it like that I feel like a bee, flying from one flower to the next. It is a wonderful way to take up the hours. It is interesting to watch all these different species relate to one another, form relationships and share the space we have together. It is an artificial and incomplete ecosystem but it is ours. And so we must maintain it to the best of our abilities. I have to make constant judgement calls on ever changing situations. I often lose sleep with worry about one or more members of our family. In times of calm (notice I didn’t say quiet) usually around midday I as so grateful for it. bees flying and we can all be in that moment together, it is the most amazing feeling in the world. One of those seconds where you can feel that all you have sacrificed to provide has been well received. That your effort bore fruit. I think that’s what Mother’s Day was intended to be about. Not another gift giving, card buying, flower sending event. It should be a day of acknowledgment and gratitude for past effort of actions inspired by love. All the small things that when stacked up, make a lifetime of care and comfort. When I do my job right my reward is not a gift or card. Instead I am the grateful recipient of eggs, honey, flowers, vegetables, and love. I must be wary not to loose sight of the fact that if I rest on my laurels my days can easily be filled with injury, fighting, sickness, death. I guess I don’t need Dr. Doolittle after all. He would just be another mouth to feed. I have come to the realization that it is not talking to the animals that makes their lives better. It’s only when you listen to them that you can be of meaningful service. An agent for growth. The reward is fleeting and impermanent (as are ALL things.) The work is constant but that is life. Everyday we are blessed to be a part of it. 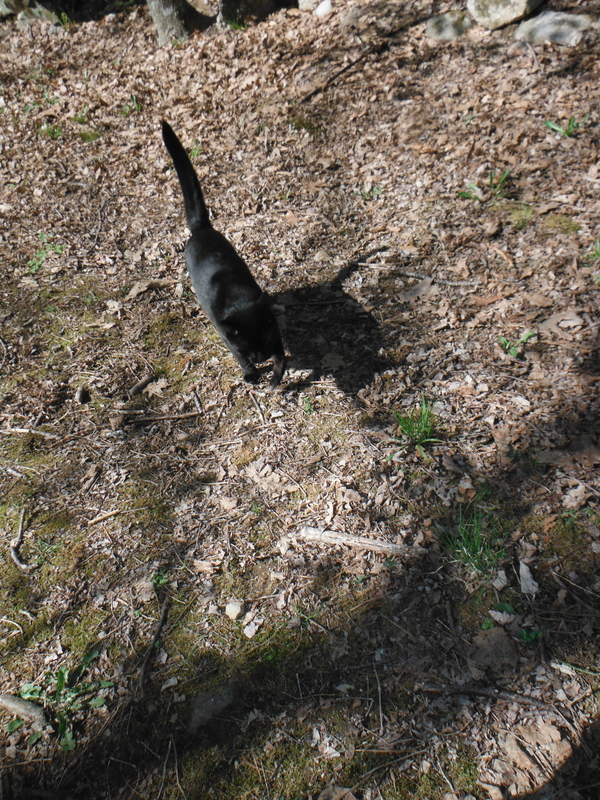 I will leave you with a series of action shots picturing Abby and Gale as they make sure that no budding leaf goes uneaten in their domain.